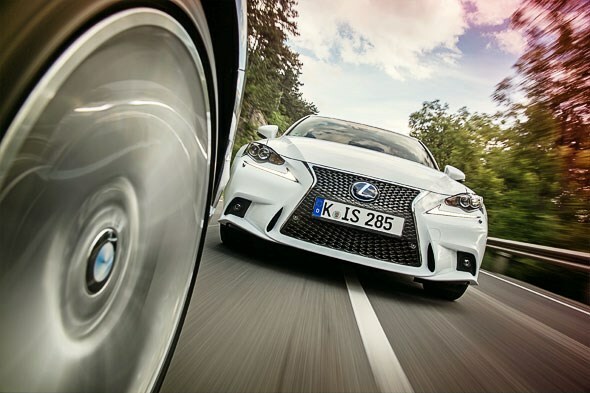 Can the new hybrid Lexus topple the mighty 3-series' status as the best sports saloon? If you can’t beat ’em, try a different stick. 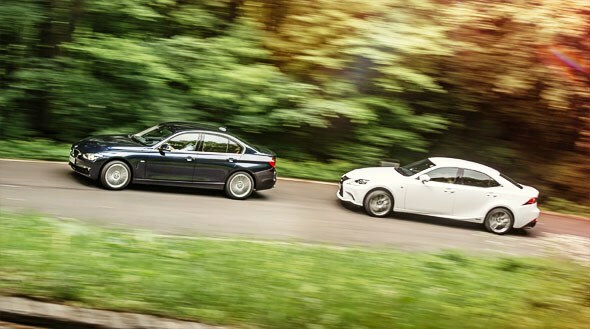 After a fairly dismal attempt to match Europe’s pocket premium fleet favourites last time out with the slow, noisy and thirsty IS220d, Lexus has changed its plan of attack with the launch of the all-new third generation IS. Diesel is out. Hybrid is in. Making yourself attractive to the fleet market is crucial when it comes to shifting small sports saloons. 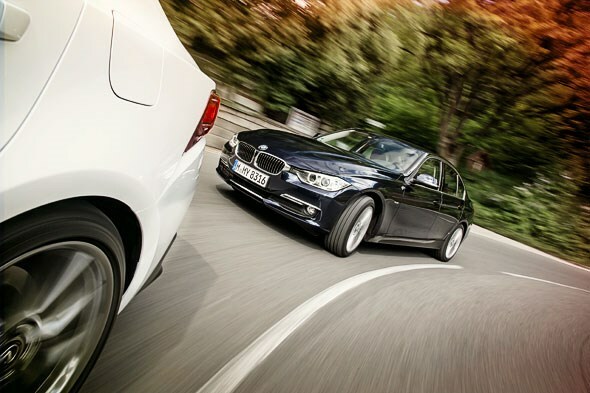 Low emissions and strong resale values are key selling points, so it’s easy to see why the fast, fun and frugal BMW 320d is such a hit. But by forgoing diesel for hybrid power, the latest IS is actually cleaner and more powerful than the BMW. It doesn’t stop there. The IS’s assistant chief engineer claims his team benchmarked all of the 3-series strengths, analysing every nuance of its character in an effort to build a car that was better in every respect. Lexus gave us a sneak look at the IS styling in 2012 when it unveiled the LF-LC concept, a coupe which may yet make it to production. But while that ugly hall-of-mirrors 3D grille and the ‘Nike swoosh’ daytime running lights shout the loudest, it’s the unusually broad shelf at the base of the A-pillar, and the way the rear door kicks up and into the line of the tail lamps that is more worthy of your attention. It’s not an entirely cohesive design, seeming to lose your interest in the middle. But it is has bags of attitude. Moving on swiftly then to the IS that’s worth reading about, we come to the IS300h. For a surprisingly modest £3k premium over the £26,495 IS250, you get a 2.5-litre Atkinson-cycle naturally-aspirated four, pushing out 178bhp and 163lb ft of the turny stuff, plus a 141bhp electric motor. The combined power figure is a slightly less impressive 220bhp, but that still trumps the 181bhp of the 320d. Trouble is, the 300h’s chunky 1680kg girth – a huge 175kg paunchier than the BMW – and tardy step-off means it never feels as instantly rapid as the German. Zero to 62mph takes 8.3sec in the IS, but only 7.4sec in the BMW, a pretty spectacular feat given that diesels are much better suited to flexibility measures than outright sprinting. 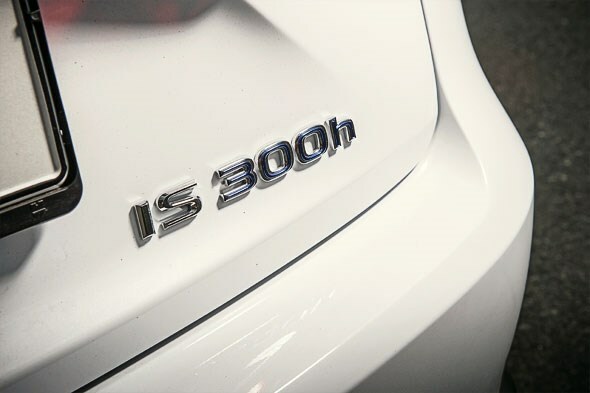 Snap the throttle open and the 320d’s 280lb ft of torque means it’s always the BMW that’s quicker to respond. Work the IS’s engine a little harder though and it’s actually pretty lively, easily capable of keeping pace with the BMW, which runs out of steam at higher revs. But accessing that top-end performance means a headache of high revs courtesy of the CVT transmission. Keeping the engine spinning continuously at the optimum revs may be good for power and efficiency, but it makes for a strangely disconnected driving experience, at least in something purporting to be a sporting car. Even the IS’s assistant chief engineer admits he doesn’t like it, and claims to be working on a conventional automatic gearbox alternative. For now though, a CVT is not only the most efficient transmission at present, but the only one compact enough to work between the IS’s petrol engine and electric motor. Conscious of dislike for mooing CVTs, Lexus has come up with Active Sound Control, which pumps in some fake engine noise through a dedicated speaker. Personally, I’ve got nothing against synthetic engine noise, provided it’s done well. We have to accept that engines are becoming less interesting to listen to, so why not give them a little help? Here’s a good reason: imagine if English-language versions of early 1970s kung fu flicks didn’t just feature terrible voice dubbing, but horribly out-of-sync car noises too. Gun the engine hard up a hill and you can hear the bassy fake engine noise, but also the real drivetrain in the background, and the two aren’t matched up at all. Lift the throttle and the fake engine keeps its pedal pinned; peg your right foot for real and the cod donkey simulates gearshifts that aren’t actually happening. It’s like driving along with an invisible car trying to race you only inches away. It’s not even a particularly interesting noise. Fortunately, there’s an off switch and the IS’s mechanical refinement is so impressive that the volume of real mechanical noise is actually very low. If only we could switch off some of the 320d’s entirely native noise. We’ve got no beef with the economy or performance, but the common-rail 2.0 is not particularly quiet, and every time the standard stop/start system kills or restarts the engine, the whole car shudders like you’ve just poured ice down its seatbacks. Contrast that with the IS, which glides serenely away from rest in EV mode, reaching well over 30mph before the petrol engine has to (discreetly) join in. 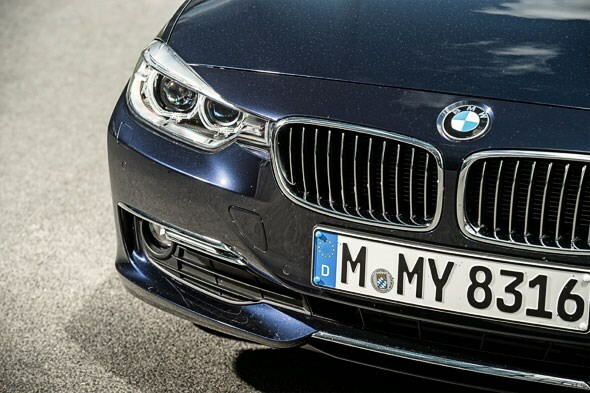 The BMW’s optional eight-speed ZF auto, on the other hand, is excellent. Paddles are also optional, but the shift mapping is so good you seldom need them, and although manual shifts felt oddly clunky in this car, not velvety smooth like our long-term 330d’s, in every other respect this ’box is more useful and less obtrusive than an Edwardian valet. Need to go faster? 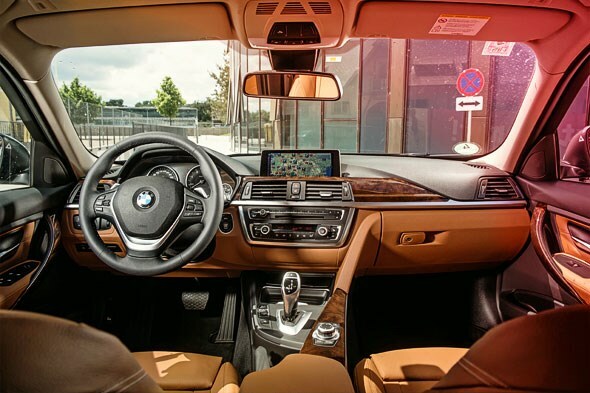 Flick the console switch to Sport or Sport+ and you get sharper shifts, weightier steering and, if you’ve gone for the M Adaptive suspension, a welcome increase in body control (the Comfort setting is fine for pottering, but heaves like a Napoleonic bosom when things heat up). Get your buttons in order and the 320d feels incredibly agile for a cooking saloon, its optional variable gear steering and the instant response from the engine delivering the power and confidence to tease the grip levels at both ends of the car. This is no walkover though. 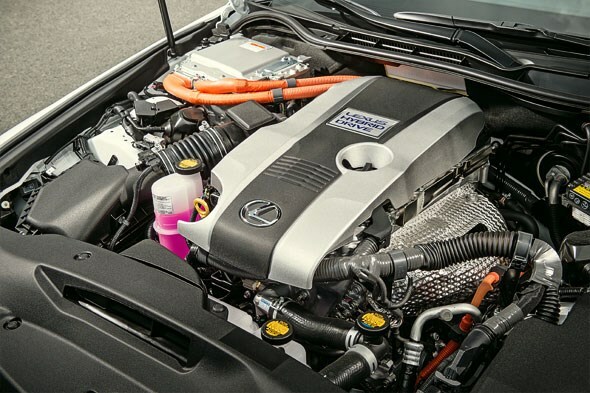 The Lexus is also fitted with configurable adaptive dampers, and shock number one is that the IS is both quieter and more comfortable traversing urban roads. It handles too, responding crisply to that first twist of the wheel away from the straight ahead, and displaying an impressive balance resulting from the battery pack being located low down beneath the boot floor where it counteracts the mass at the front of the car. You sense the overall kerbweight penalty of the hybrid system though, and the steering, while impressively accurate, doesn’t have the same sensation of connection. And although the brake feel is vastly better than in Toyota’s own Prius, or even the Porsche Panamera Hybrid, the regenerative braking function still makes the stoppers slightly difficult to modulate when slowing from high to low speeds in one go. 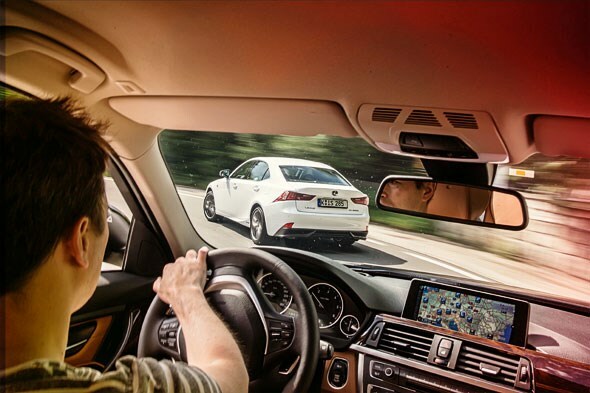 Fortunately, the Lexus has plenty of tricks to help you overlook its dynamic faults. The cabin, for one, is simply stunning, evoking the look and feel of a quality home audio system. 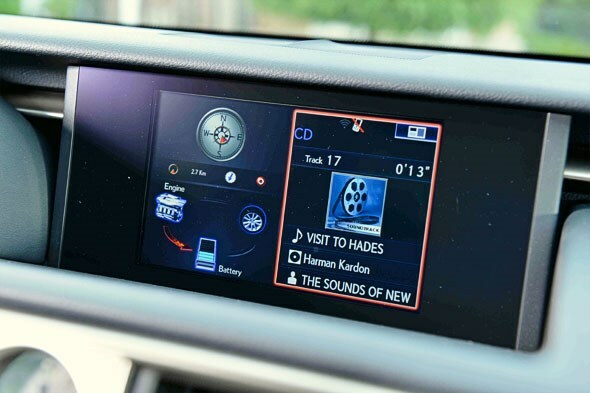 Rotary controls, including the console-mounted Drive Mode Select – which lets you flick from Eco to Sport+ in various steps – twists with exactly the right amount of resistance and no slack, the windows slow down as they home in on the upper part of the door frame, and the temperature is set by sliding your finger along a touch-sensitive scale. Both IS250 and IS300h come in four flavours. The cheapest is the £26,495 SE, which comes with dual-zone climate and a DAB radio with Bluetooth, but only 17in wheels. 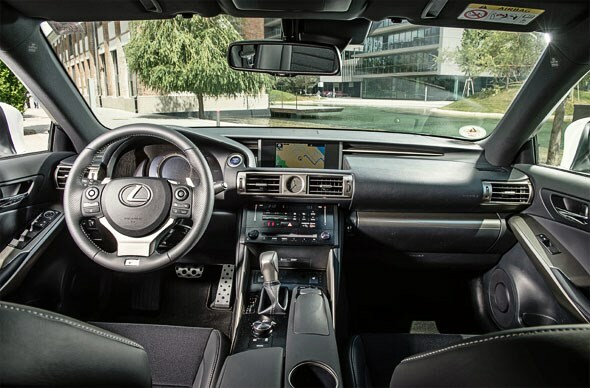 Luxury trim costs £1500 extra and adds Park Assist and rain-sensing wipers, and the range-topping Premier, available from £35,495, gets electric leather seats, a Mark Levinson hi-fi and a sat-nav operated by Lexus’s much criticised (including by us, in our long-term GS), but now much improved, mouse-controlled interface. 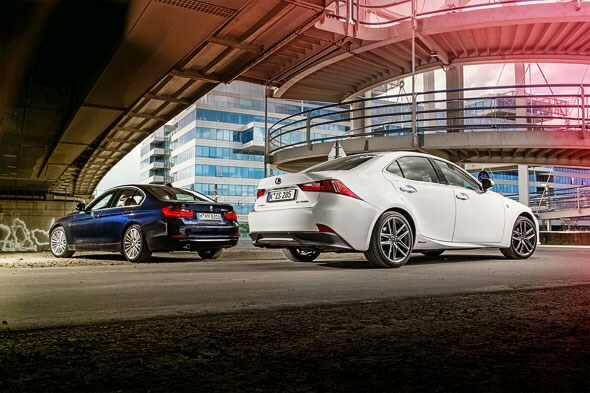 Go for F Sport trim and you’ll pay £30,495 as a 250, or £33,495 with the hybrid powertrain. 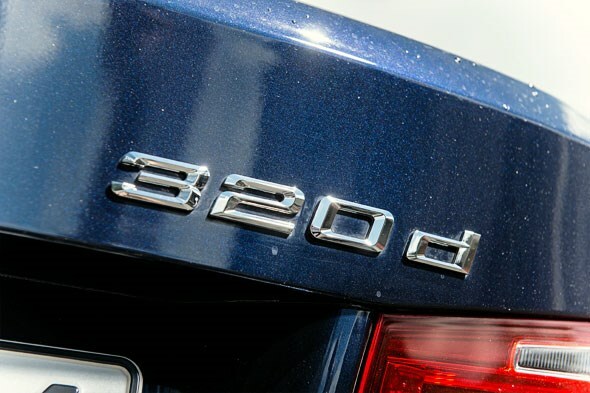 Our 320d was in Luxury guise, but an equivalent 320d M Sport auto lists at £32,925. 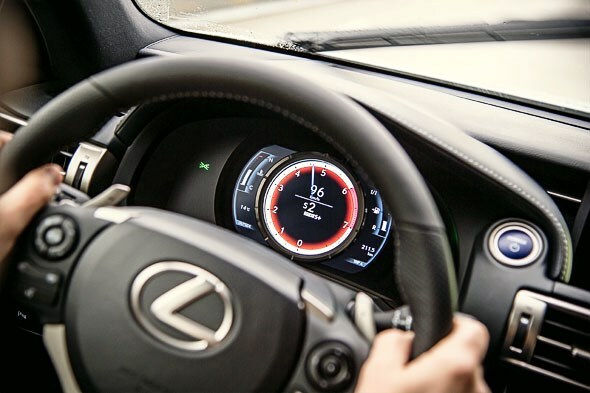 F Sport means more aggressive bumpers, a pair of superb sports seats and in place of the plainer models’ twin clocks, a gauge set-up modelled on the cluster in the LFA supercar. 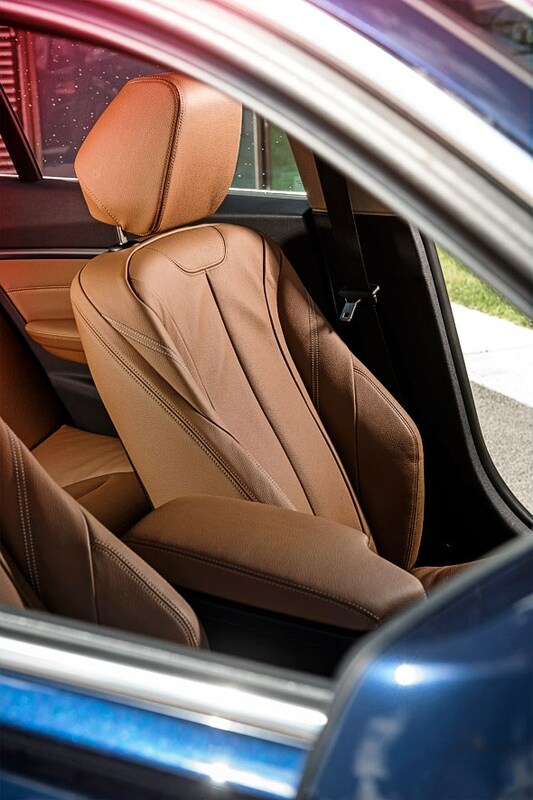 The BMW’s interior is stylish and sturdy, perhaps a touch airier, but entirely lacks the IS’s wow factor. It lacks the IS’s ‘ow’ factor, too, at least for rear passengers. 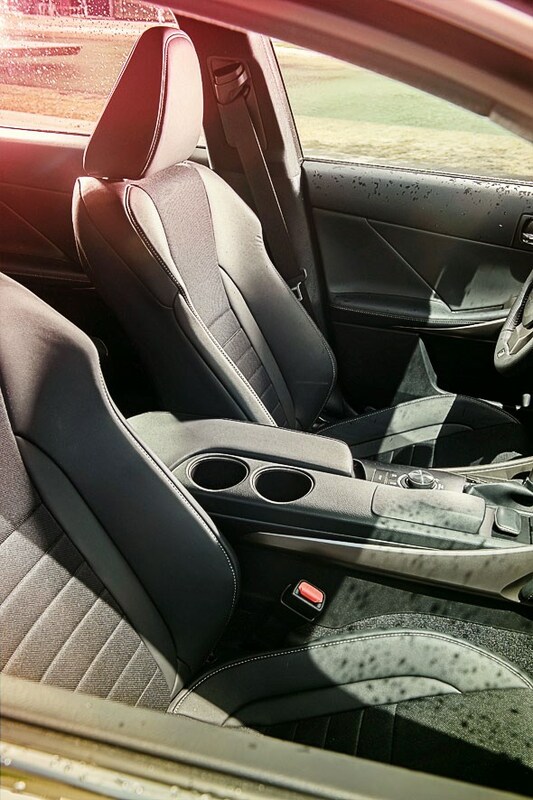 The latest IS’s 70mm of extra wheelbase has finally endowed it with class-competitive rear legroom, but rear headroom is best enjoyed with a cricked neck. 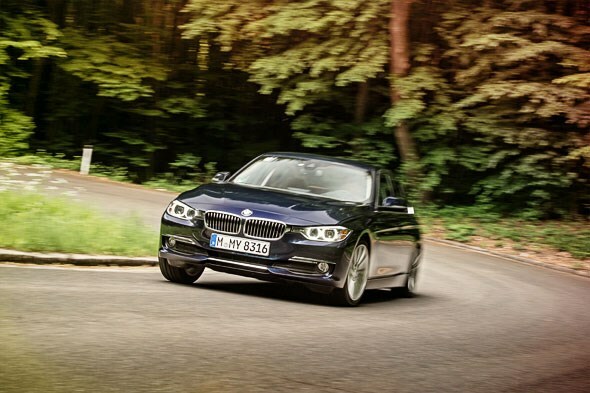 The IS puts up a good fight against the 3-series. Handsome, built with the attention to detail you’d expect of a £100k limo, and usefully roomier than the old car, it also has that headline-grabbing 99g/km CO2 figure (109g/km in F Sport trim) and 320d-beating mpg numbers to crow about, at least in basic SE guise. Throw in strong residuals, and for the fleet manager, at least, it sounds like a great choice. But what about the user chooser? As a company car driver potentially looking at putting 60,000 miles onto one of these machines over the next three years, which would you go for? The slightly rowdy, but entertaining and practical German, or the cultured Japanese exec with the funky cabin and enough rare groove factor to ensure you won’t lose it in a car park full of me-too Threes? Quite possibly the latter, if you could live with that CVT. Unfortunately, we couldn’t, and suspect that the lighter IS250 with the conventional auto – which we’ve yet to try – will be a much more enjoyable car to drive. It’s just a shame it will be rendered virtually untouchable by its 199g/km CO2 output. Ah yes, CO2. Surely the tax advantage over the BMW is enough to swing the vote in the 300’s favour? For the thrifty, perhaps, but as the panel on the previous page reveals, the difference to your pocket could be as little as £40 per month. If you like driving, that’s a price worth paying, so the faster, roomier and simply more entertaining BMW retains its crown. But it could do worse than pick up a few party trick ideas from the Lexus when the buzz of victory dies down and it’s time to start thinking about the facelift.